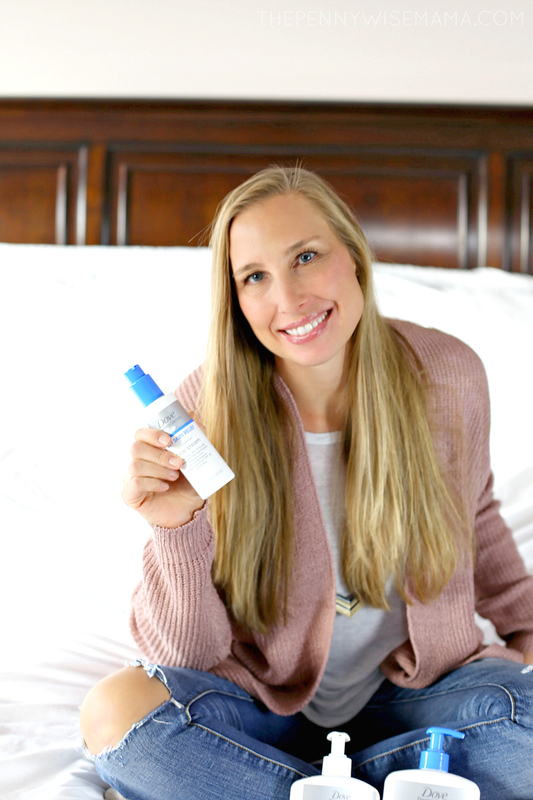 Winter is here and with that brings cold, dry air that can aggravate your skin. Living in Colorado my entire life, it’s something that I dread every year. My skin becomes dry and irritated, making me want to stay indoors and not come out until spring. Obviously, that’s not an option, so rather than be a hermit all winter, I’m turning to Dove DermaSeries to help provide some relief. 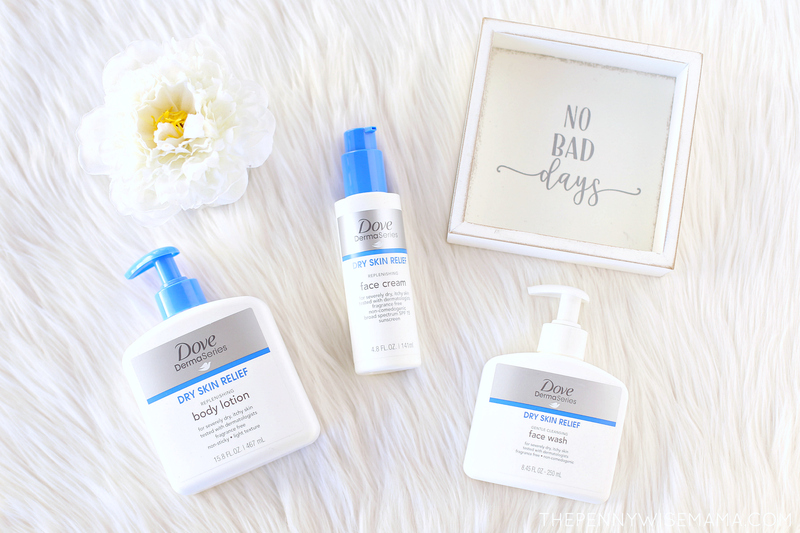 Dove DermaSeries instantly relieves dry skin flare-ups, whether caused by a diagnosed condition, changing weather, stress, or just chronic dry skin. All of the products are hypoallergenic, dermatologically-tested, fragrance-free, and suitable for eczema and psoriasis-prone skin. 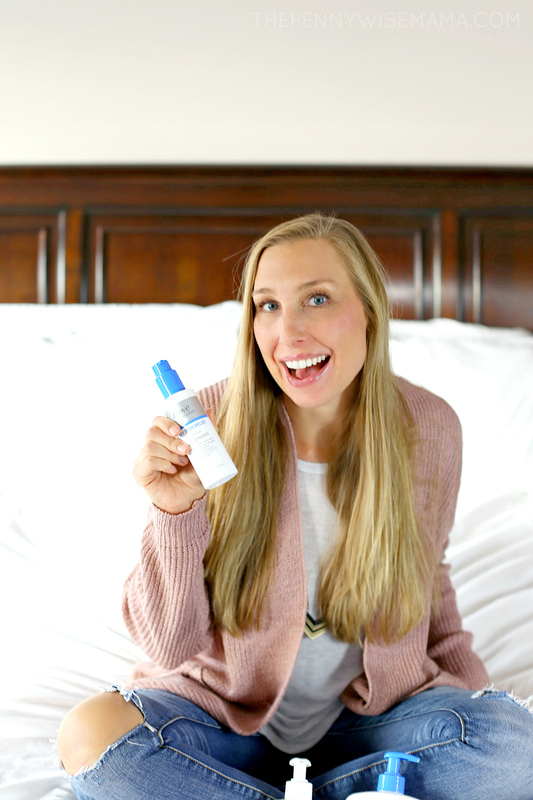 I’ve been a huge fan of Dove products for years, so when I saw the Dove DermaSeries at my local Walgreens, I had to pick up a few bottles to try. I’ve been using the Gentle Cleansing Face Wash, Replenishing Face Cream, and Body Lotion for the past week and my skin is thanking me! 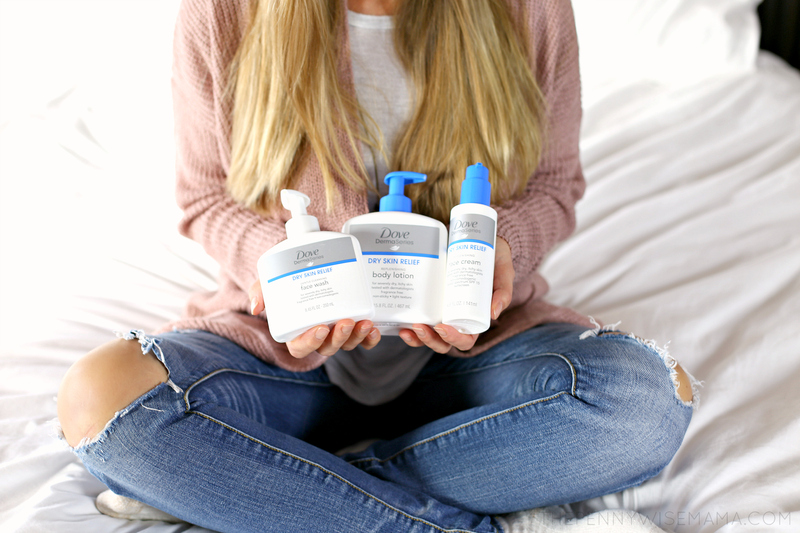 The Dove DermaSeries Gentle Cleansing Face Wash, Replenishing Face Cream, and Body Lotion are all designed especially for the driest skin, with rich, creamy textures that transform dry, itchy skin. And, as an added bonus, the Replenishing Face Cream contains broad spectrum SPF 15 sunscreen to help combat those harmful UV rays. 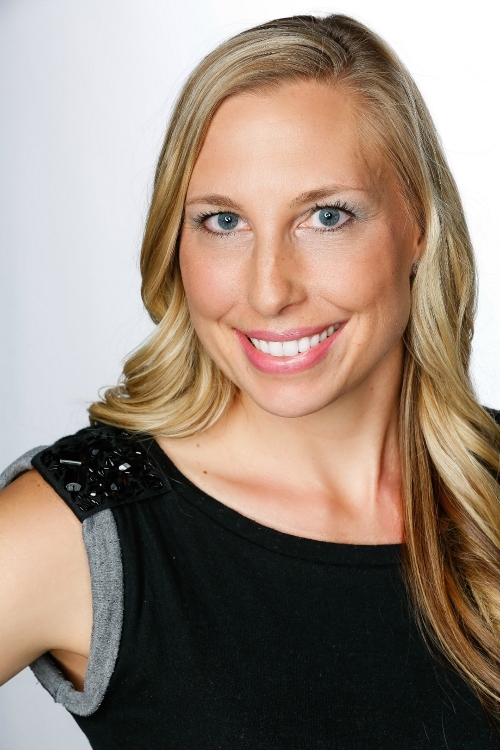 I have definitely noticed a difference in my skin since I have started using the products. Instead of being red, itchy, and flaky, my skin is so soft and hydrated, which is usually not the case once cold weather hits. This makes me so happy! I’ve noticed the biggest difference in my hands. They normally get dry from washing them so many times throughout the day, but in the winter, they become painfully dry. 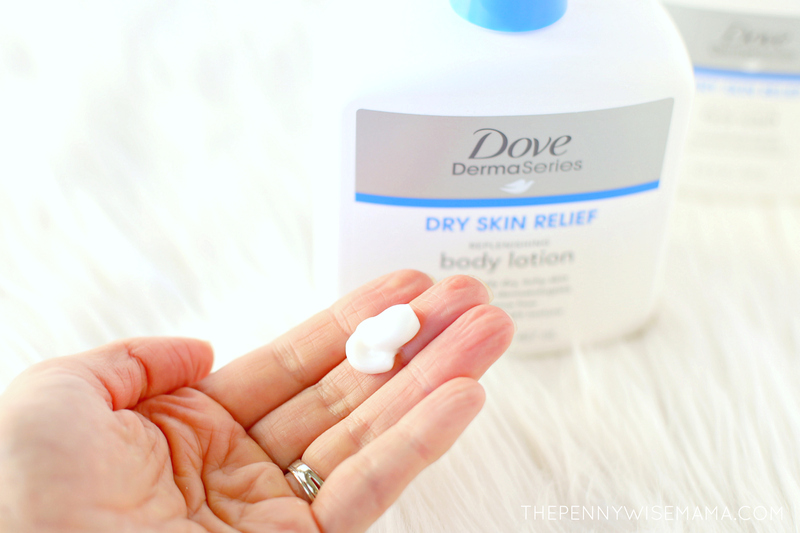 The Dove DermaSeries Body Lotion has been a dream cream for my hands. I’ve been applying it multiple times a day, and so far, I have been able to stay on top of the dryness. All three of my kids have sensitive skin — one has seasonal eczema, and the other two get rashes from products with fragrances — so I’m also looking forward to having them try the face wash, face cream, and body lotion. Changing weather can aggravate skin conditions, but before you turn into a hermit all winter, try Dove DermaSeries! 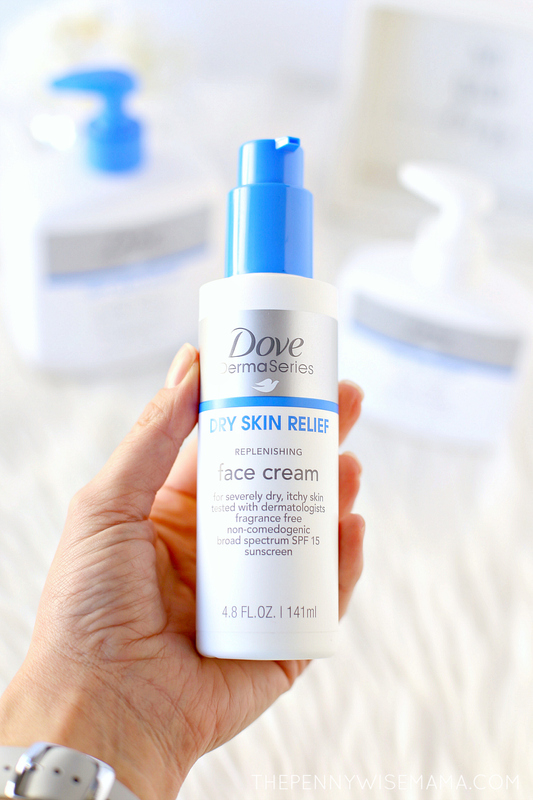 Perfect for the whole family, it instantly relieves dry skin flare-ups when weather or stress have you down. 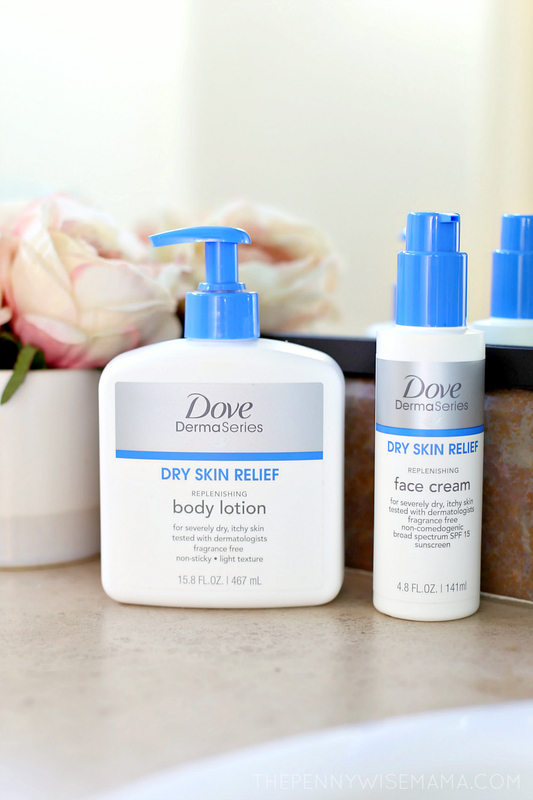 Discover instant relief and lasting comfort with Dove DermaSeries at Walgreens. You can purchase the products in stores or online. 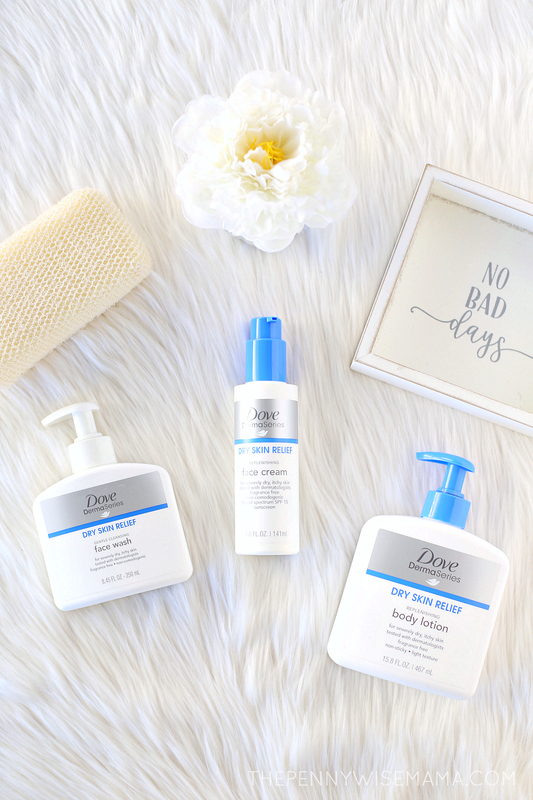 Have you tried Dove DermaSeries products?